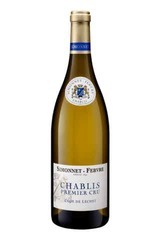 The Chablis Premier Cru Vaillons 2015 is a pure and focussed wine. The nose has delicate notes of white flowers and fruit. With the 2015 vintage, the wine shows riper fruit than usual with notes closer to apricot or peach rather than citrus while keeping its usual Chablis fresh mineral backbone. The mouth is elegant, well-balanced with an intense finish and lingering minerality. This wine is fat, fruity and creamy, with just a touch of minerality. Its ripe fullness lends plenty of depth and concentration, within a lightly structured frame. Drink from 2018.